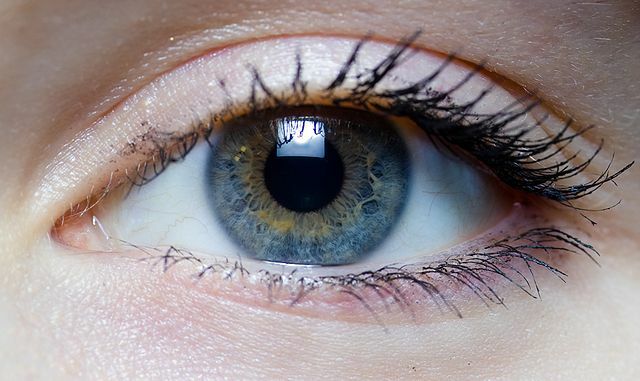 An eye glue developed by scientists could help in saving many people from going blind. There is a report that suggests more than 1.5 million new cases are affected by corneal blindness around the world. In the UK itself, there are 4,000 corneal transplants that are done each year. In the US alone, the corneal transplants have reached a staggering figure of 117,000. The cornea is a thin tissue which could be damaged very easily. This could be due to an injury or even an infection. There is a possibility of corneal damage due to fingernails, contact lens or any other means. Due to an eye infection or trauma experienced on the surface of the eye, there could be scarring. This in turn could lead to either blurred vision or in some cases even complete loss of vision. The current methods of treating corneal defects may be either the use of synthetic glues or surgery. There is a disadvantage in using these methods. Since they are toxic and difficult to handle, there is a possibility of significant loss of vision due to the opacity of the material used and poor entwining with the corneal tissues. In the case of corneal transplants, there could be the danger of post-transplant complications due to infection or rejection. What exactly is the eye glue? The eye glue developed by scientists is an adhesive gel. It is made of gelatin that is chemically modified and molecules known as ‘photoinitiators’ which are activated by blue light obtained from the sun.The glue is a clear liquid, but on exposure to light, the eye glue hardens and adopts the structure of the cornea. The sight saving glue, on being exposed to light, seals the cuts on the surface of the eye. It will save many people from going blind or even going through an eye surgery. After a period of time, the cornea cells grow into the material, mix with it and eventually regenerate tissue. This eye glue is a sight saving glue which the researchers hope could prevent the need for conducting corneal transplants. This eye glue will come in the form of eye drops. As of today, there is a great shortage of eye donors and this sight saving glue could save many people from going blind. The scientists at Harvard Medical School in Boston, who have developed this eye glue, will be conducting human trials within a year. In the laboratory, the eye glue replicates the eye surface in a matter of a few days. Professor Reza Dana, an author of this study says that they hope this sight saving glue would change the way the present day technology would treat injuries or damage to the cornea. This eye glue named as GelCORE will not only seal the wound but will also enhance the growth of new tissue. Professor Dana goes on to explain that the eye glue that was created is a clear and strongly adhesive material. It not only allows the cornea to close the defect, but also regenerate itself. Their aim was that the eye glue would help the cells present in the cornea to entwine with the adhesive material and also regenerate. They hoped that over a period of time this regeneration could mimic something almost as good as the original cornea. The properties of the eye glue can be controlled by varying the concentration and amount of time exposed to light. This gives an added advantage since it is possible to change the formulation for various types and severities of eye injuries.